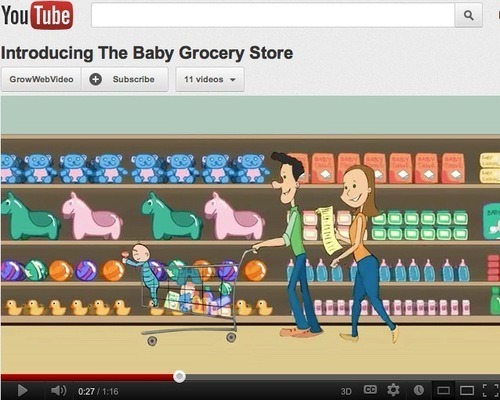 Use “Explainer” Videos To Entertain And Tell Your Story | Brand On! You may have heard about “explainer videos” as one of the newest tools for your digital marketing. These are short videos that provide an explanation of your product, service or event. Usually in the form of an animated story, they entertain your audience while educating them. Many companies, including Google and Facebook, use explainer videos in their marketing strategy. Research shows that viewers have been 65-84% more likely to buy after watching a product video (source: Kissmetrics). And if you properly optimize your video, it can increase the chance of a first page Google result by 53x (source: Forrester, January 2010). Read this article for further details on how to increase eCommerce conversion rates with videos. Prominently feature your video on your homepage and landing pages. It’s much easier for visitors to watch, rather than to sift through lines of text. Julie Ball of Grow Web Video was gracious enough to contact me about my job search and tell me all about explainer videos, which is what they specialize in. She is offering a 15% discount on their explainer videos if you tell her that “Brandon sent ya!” Email her for more details. Thanks, Julie! Require email opt-ins in your videos: You can require users to provide an email address to continue watching your videos. 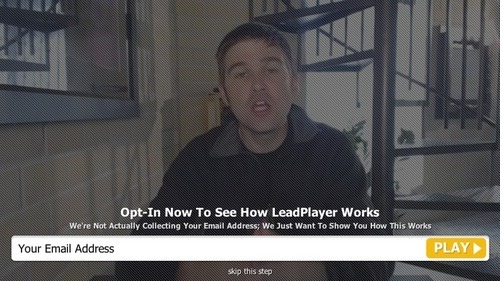 An opt-in box can appear at the beginning or at the end of your video. Redirect people to a sales page: Use LeadPlayer to create buttons that appear during your videos and direct viewers to a website, landing page or anywhere else you decide. All button text and links are customizable, and implementation takes about 15 seconds. Cost: One-time fee of $107 for use of the player only for one domain, or $184 for an unbranded version and unlimited domain use. If you have used an “explainer video,” tell me about your results in the comments below.